For some individuals, going out Christmas shopping on Black Friday is a tradition. On the day after Turkey Day, they wake at first light, cruise to the nearest shopping mall, and do their best to complete as much Christmas shopping as possible! But for some people, Black Friday is an irritating nonsense, a hurried distasteful occasion for holiday shopping, if one can survive the mob of demanding and angry customers. But there is a solution for these shoppers this Black Friday. There’s no need to rush to the shopping mall and fight off fellow customers—you can stay at home. This year, make the decision to do your holiday shopping in your PJs and bathrobe by shopping online. 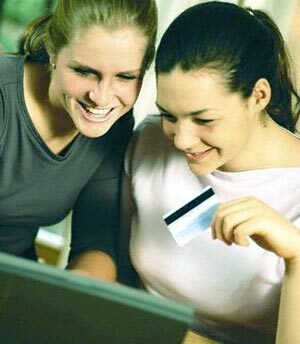 With online shopping, you as a customer receive access to a wider variety of mechanize than you would find at any shopping mall. You also get the prospect of buying handmade gifts this holiday from online crafters. With the global financial situation getting more and more bleak all the time, most shoppers are just not interested in supporting artists as much as they are in saving a few bucks. But in this bad economy, it is more important than ever before to shop handmade. Shopping handmade is especially important for fellow craft sellers. When you sell your handmade goods online, your business is supported by buyers choosing to shop based on quality and uniqueness rather than cost alone. So why not help out fellow craft artisans this holiday season by buying handmade yourself Avoid the mess of Black Friday and buy handmade this weekend!